In the time since Asa Johal immigrated to Canada in 1924, he has become one of British Columbia’s most prominent businessmen and outstanding citizens. At the age of 19, he started a successful trucking business. In 1962, he established his sawmilling operation at Mitchell Island and turned it into one of the province’s most efficient and most advanced in technology. Now, his Terminal Sawmill Group of companies consists of two mills, two manufacturing plants, a logging camp and other small operations. Mr. Johal’s business skills have contributed to the economic well-being of British Columbia. But he has contributed to Canadian society in a multitude of other ways – as a member of the University of British Columbia Board of Governors and a director of the Children’s Hospital. Through either major contributions or quiet help, he has recognized many other worthy causes and organizations without concern for recognition. He has routinely matched public donations to fund-raising campaigns for the B.C. Children’s Hospital, Canadian Cancer Society, Rotary Club-Polio Plus and OASIS, formerly known as the Orientation Adjustment Services for Immigrants Society. Mr. Johal has contributed much to the Indo-Canadian community in British Columbia – as founding member, trustee and chairman of the India Cultural Centre of Canada and as president of the International Punjabi Society of B.C. He has actively encouraged his fellow Indo-Canadians to participate in mainstream society. He was recently granted an honorary Doctor of Laws degree by the University of British Columbia for his support of ethnic studies. 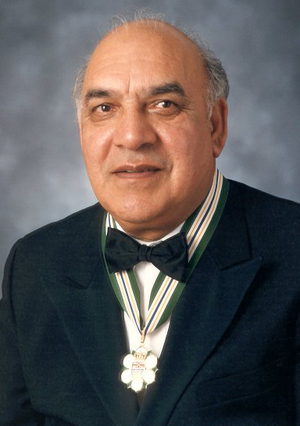 In 1988, he was honoured on Canada Day for his outstanding contribution to the Indo-Canadian community.